I love beer can chicken! Soooo good and stays moist. I love grilled chicken with pasta and fresh vegetables. Barbecue/grilled chicken with a marinade of fresh coriander paste mixed with sweet Thai chili sauce. To die for. My favourite way to do up BBQ Chicken is to simply brush it with BBQ sauce and grill some asparagus to go along side it. I loved grilled chicken breasts atop either a Caesar salad or mixed California greens. I like grilled chicken with pasta salad. 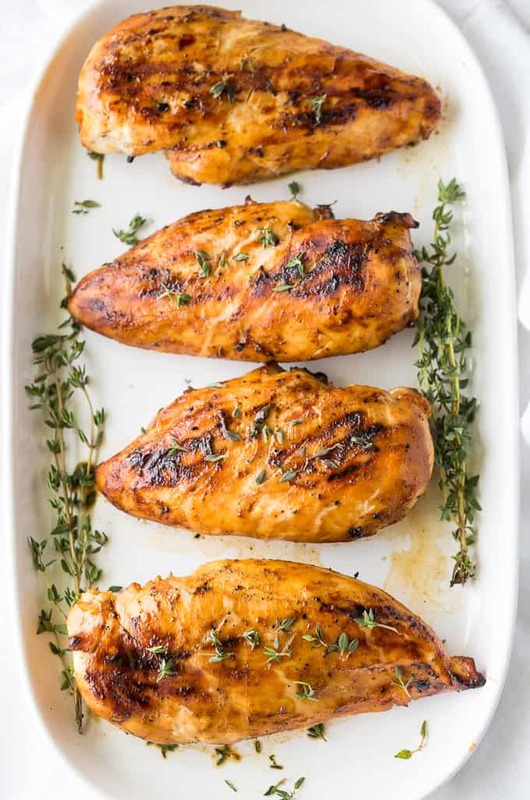 I think my favourite will be Maple Dijon Grilled Chicken Breasts. My favorite chicken meal is a tin foil wrapped package of chicken drumsticks,with onion, corn an BarBQue sauce! The one I’d like to try is the Barbecued Chicken Thighs Au Vin. 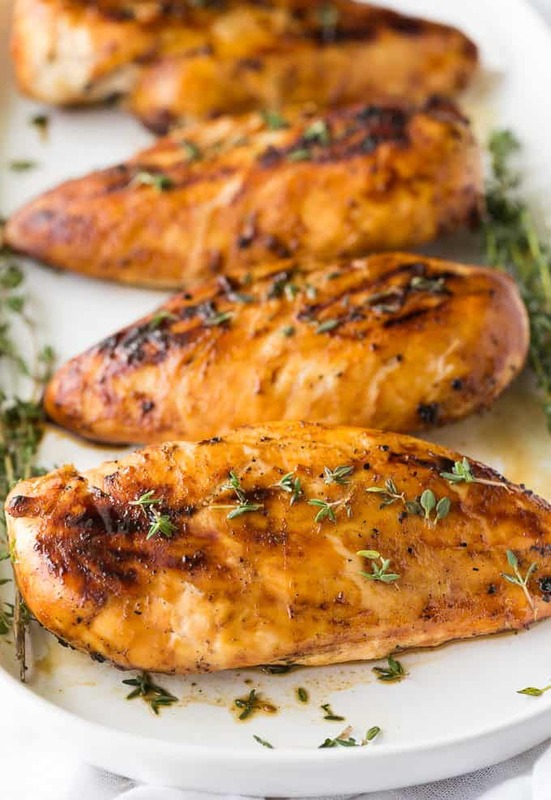 Grilled Tuscan chicken breast is my favourite! Beer can chicken is great and it does stay moist. Thanks for hosting this giveaway. Have a great summer everyone. I love grilling the full chicken on a beer can. Delicious! My favourite is a grilled beer can chicken. I love beer can chicken. It looks so funny for starters. Also you can use up end of the bottles to steam flavour it. In summer you can stuff the neck with herbs from the garden too. 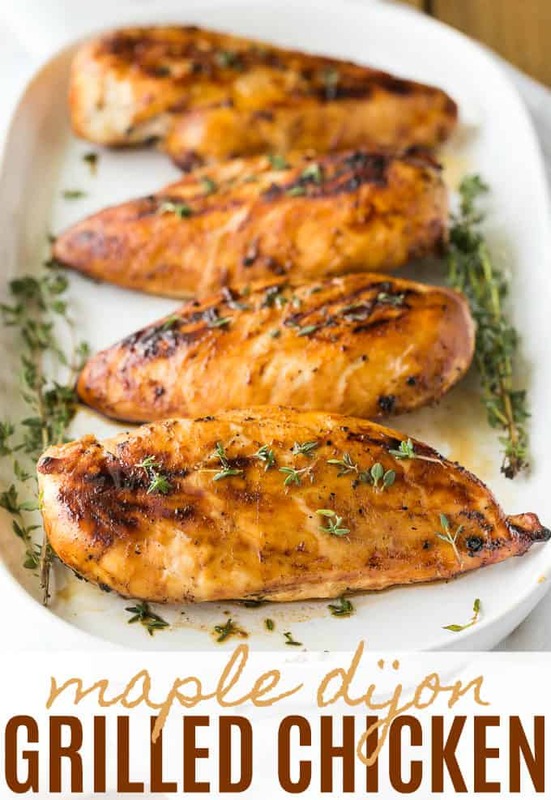 Baked Barbecue Pineapple Chicken-hmm that sounds delicious! The Blueberry Pecan Glazed Chicken looks amazing. Favorite appetizer is honey garlic chicken wings for the youngsters, green Thai curry wings for the adults! The Hickory Dickory Cluck Chicken Sandwich looks amazing! Fiesta Lime Chicken would be a favourite of mine. I love BBQ honey garlic wings! I love grilled chicken breast with sweet chili sauce sand grilled pineapple. 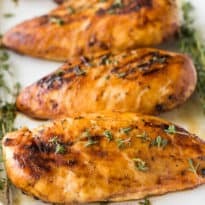 My family LOVES BBQ Chicken! So delicious! I think the Greek Yogurt Chicken & Lemon Rice sounds great.